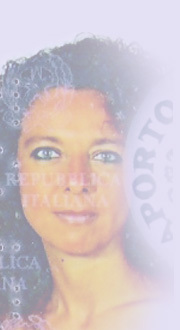 Antonella Fontana, born in Legnano (Mi) - Italy - on 2nd August 1969. 1988: High School Leaving Certificate in Classical Studies - final grading 54/60. 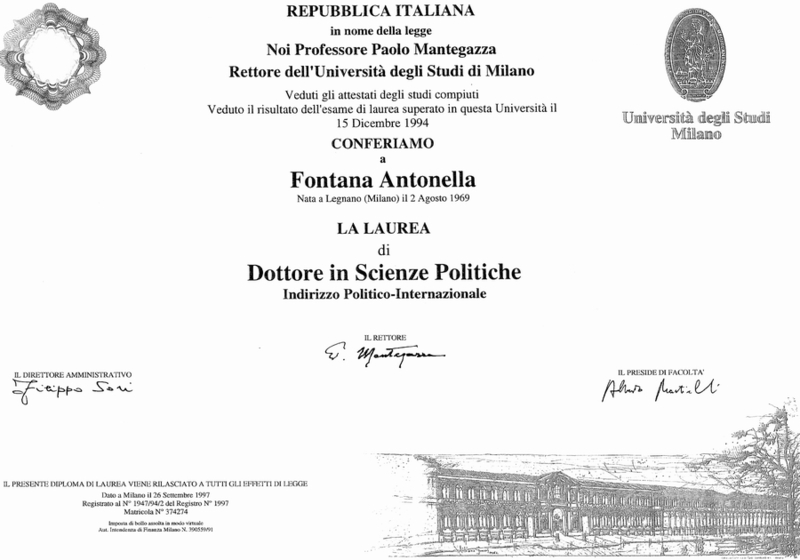 1994: Five year University Degree (BA Level) in Political Sciences at the State University of Milan. Specialization in International Private Law and degree thesis in English and American Law ('The influence of the English law on the Indian juridical system') - final grading 102/110. 1986-1994: English courses at several qualified international schools such as: the Inlingua School in Malta, the Loughton College in London, the Queen Margaret College and the Napier Polytechnics in Edinburgh. Pitman Examination passed in London in 1987. 1989-2003: Classes and courses of French (second foreign language at University), Spanish and German. 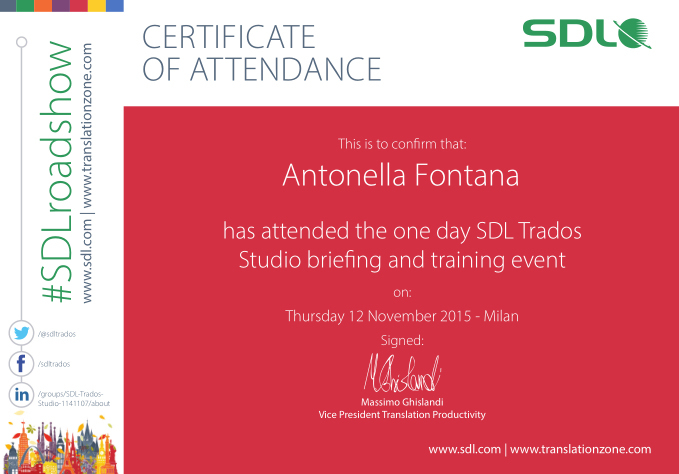 Long training stays abroad. May - June 2006: course 'Trados Basic and Advanced Learning', organized by AITI (Italian Translators and Interpreters Association) division Lombardia, in the premises of the Milan High School for Language Intermediaries Carlo Bo. 5th May 2007: tutorial 'Techniques of Web Research for Translators and the program IntelliWebSearch' - tutor Mr. Michael Farrell, organized by Giacobaus s.a.s. 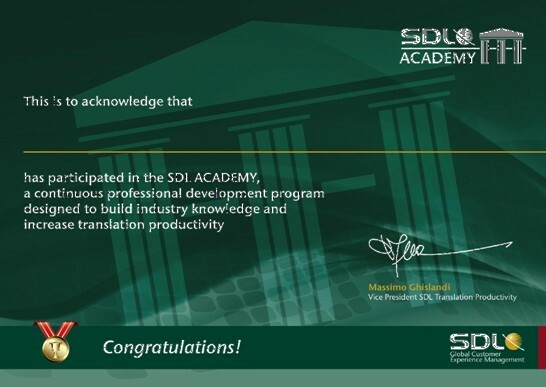 Sound experience as editor, language consultant and in-house translator for a Swiss multinational corporation.20 years of activity in the language industry.